When we decided to have girl's crafty sewing weekend earlier this month, Drea brought down a project she and I have been talking about for two years to finish! 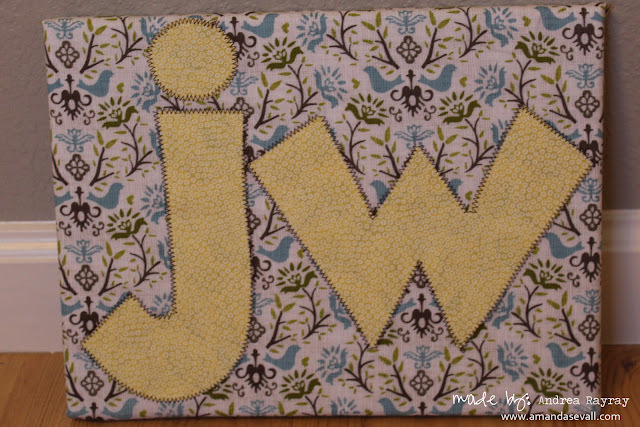 This super cute fabric covered canvas with initials! We used the Cricut to cut the letters. Oh and I should mention that there's a sweet, adorable little girl who will get this hung on her bedroom wall? I may be partial, but I think it turned out pretty cute!